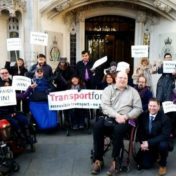 In November the UN published a report which found evidence of grave and systematic violations of Disabled people’s rights by the UK government due to welfare reform. We are holding a briefing event in Parliament for MPs and members of the House of Lords to look at what they can do to hold the Government to account. 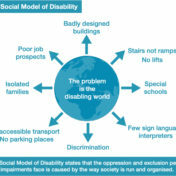 For UK Disability History Month, a guest post by Josh Hepple on the language of the social model of disability and why using the term ‘Disabled people’ is so important.